Maria Parisen - A unique collection of articles from many traditions on the reality and nature of angels. Stresses angels' interaction with humans in the creation of nature and our inner life. Contributors include Marie-Louise von Franz, Matthew Fox, Dorothy MacLean. Illustrated. From choosing the right rocks and plants to weeding and night gardening, this book shows how to start or maintain a rock garden, whether one has access to acres of land in the country or a window shelf in the city. At the same time it describes the sacred meaning of stones and rocks in many of the world's cultures and spiritual traditions, including Stonehenge and Ayers Rock, the Western Wall in Jerusalem and the Ka'ba in Mecca, Japan's Zen gardens, Europe's cathedrals, America's temples and Egypt's pyramids. Both practical and inspirational, it will appeal to everyone who loves gardens, rocks and the transforming power of nature. Donna E. Schaper lives and gardens in both Massachusetts and Miami. She is the pastor of a Protestant Church in Coral Gables, Florida, mother of three children, and a lover of stones and flowers. Her previous books include Gardening Meditations and Raising Interfaith Children. based on Sun Tzu’s The Art of War - Grant Schnarr - Grant Schnarr uses one of the most brilliant war manuals ever written - the ancient Chinese general Sun Tzu’s The Art of War - as a metaphor for how to win against our only true enemy - our own negativity. This practical field guide for anyone struggling with the “only noble battle” includes brilliant tactics for enlisting higher powers, outwitting destruction, and championing integrity and love. His courageous insights, often funny stories, and practical exercises can help anyone make peace at home, at work, or in the private depths of their being. THE ASTRAL BODY - Arthur E. Powell - In print since 1927, this study of our subtle body is based on the works of theosophical authors and noted clairvoyants, including H. P. Blavatsky, C. W. Leadbeater, and Annie Besant. AT THE SIGN OF THE SQUARE AND COMPASS - Geoffrey Hodson - Co-masonry as a survivor among ancient mysteries. BE HERE NOW - Ram Dass - Describes one man's spiritual transformation upon his acceptance of the principles of Yoga. Describes one man's transformation upon his acceptance of the principles of Yoga and gives a modern restatement of the importance of the spiritual side of man's nature. A Lama Foundation Book. 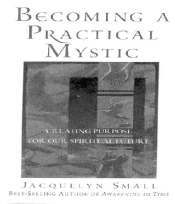 BECOMING A PRACTICAL MYSTIC - Jacquelyn Small - Creating Purpose for Our Spiritual Future. This little book reminds us that when Spiritual Purpose becomes the organizing principle behind our actions, everything in life falls into place. Best-selling author (over 300,000 books in print) and popular workshop leader Jacquelyn Small shares inspiring stories and specific daily practices for co-creating our personal spiritual destiny. Through such practical techniques as "The Magical Work of Focused Intention," "The Power of Invocation," and "The Process of Manifestation," Small teaches readers to use focused spiritual energy – what she calls "active prayer" – to remake their own lives and to evolve toward becoming visionary guides for others. BEYOND RELIGION - David N. Elkins - A Personal Program for Building a Spiritual Life outside the Walls of Traditional Religion. Is it possible to be spiritual without being religious? This book is aimed at the millions who find that traditiona1 religion fails to meet their spiritual needs. Authentic, soul- nurturing spirituality, Elkins shows, can be found in unlikely places, well outside church or temple walls – a therapist’s office, a mountain park, an art studio – even your own bedroom. For un-churched Americans hungry for spiritual sustenance, Elkins offers validation of eight nontraditional paths, including counseling and psychotherapy; friendship and community; creative expression; and sacred sexuality. Readers searching for an alternative spirituality that is right for them will find exercises to help them discover a personal path to the sacred and a wealth of innovative practices to make nonreligious spiritual practice a part of daily life. THE CALL TO THE HEIGHTS - Geoffrey Hodson - A teacher-to-pupil book of instructions on how to awaken our divine consciousness. THE ETHERIC DOUBLE - Arthur E. Powell - The health aura: What it is and does. Based on the works of famous theosophists. EXPLORING THE GREAT BEYOND - Geoffrey Farthing - A thought-provoking study of magic, telepathy, spiritualism, psychism, and other extraordinary topics. 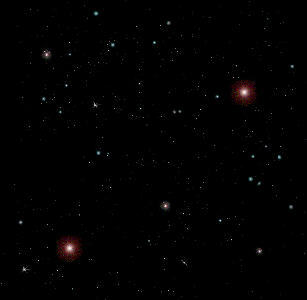 EXTRASENSORY PERCEPTION OF QUARKS - Stephen Phillips - Clairvoyant esoteric observations weighed against modern physics. FAIRIES - Edward Gardner - The debunked Cottingley pictures of the fairy kingdom. FENG SHUI FOR THE BODY - Daniel Santos - Balancing Body and Mind for a Healthier Life. Feng shui means "the flow of things." In this breakthrough book, the Chinese principles of energy flow, usually applied to arranging one’s home, are extended to the real house we inhabit – our human body. As Daniel Santos learns from these fascinating teachers to balance the energies of body and mind according to feng shui principles, he guides readers on a profound journey of self-discovery and self-healing. Postures, exercises, innovative meditations, and journaling techniques based on the principles of Chinese medicine and feng shui teach readers to "Become Aware of Your Center," "Contact Your Energy Body," and use the "Four Motions" of body movement, breath, eye movement, and sound to improve the body’s energy flow for greater health and well-being. Daniel Santos, Doctor of Oriental Medicine, has been a licensed, practicing acupuncturist and healer in Santa Fe for over twenty years. Former chairman of the New Mexico State Acupuncture Board, he has studied and taught Tai Chi and related styles of body movement. He is author of Luminous Essence. GAIA'S HIDDEN LIFE Comp. - Shirley Nicholson & Brenda Rosen - A new collection of essays on the living intelligence within nature from various spiritual and scientific perspectives, featuring articles by James Lovelock, Dorothy MacLean, Joan Halifax, Thomas Berry, John Seed, Serge Kahili King, and others. Oprah favorite Gary Zukav believes that our meaning is right here: "Becoming a spiritual person," he writes, "requires becoming aware of your emotions." According to this bestselling author, we must align our selves to our soul's call: "The goals of your soul are harmony, cooperation, sharing and reverence for Life. When those goals of your soul become your goals, your personality is aligned with your soul. That is authentic power." A quieting message for difficult times. With the rare combination of profound psychological insight and deep spirituality that has already drawn millions of readers to his two great national bestsellers, The Seat of the Soul and Soul Stories, prize-winning author Gary Zukav now joins with his spiritual partner Linda Francis to help us to develop a new emotional awareness that is central to our spiritual development. In The Seat of the Soul, Zukav brilliantly set forth his fundamental concepts, explaining how the expansion of human perception beyond the five senses leads to a new understanding of power as the alignment of the personality with the soul -- "authentic power." In Soul Stories, he showed how such concepts as harmony, cooperation, sharing, and reverence for Life express themselves in other people's lives. Now, in The Heart of the Soul, he and Francis take the next major step forward in showing us the importance of emotional awareness in applying these concepts to our own daily lives. Zukav and Francis show how true emotional awareness transforms the human experience. Although developing emotional awareness is challenging and difficult because it requires becoming aware of our buried emotional pain, it is also enormously rewarding. The Heart of the Soul shows us how to free ourselves from our compulsions, fixations, obsessions, and addictions -- such as anger, workaholism, perfectionism, obsessive eating, alcohol and drug abuse, and sexual addiction -- that prevent us from living a fulfilling and meaningful life. It also provides the reader with the necessary tools to replace the desire to avoid painful emotions with the desire to explore every aspect of consciousness, and to cultivate the parts of ourselves that contribute the most to Life. Emotional awareness -- becoming aware of everything we are feeling at every moment -- is one of the most challenging tasks we can undertake. As Zukav relates in the book, "The longest journey that you will make in your life is from your head to your heart." For all of us, that is the unending journey toward spiritual growth -- toward wholeness, wisdom, and compassion -- and the healing that will allow us to achieve our fullest potential. THE HIDDEN LIFE OF FREEMASONRY - C. W. Leadbeater - A detailed explanation of the ceremonies and rituals of freemasonry. THE HIDDEN SIDE OF THINGS - C. W. Leadbeater - A comprehensive survey of the forces in nature that are unseen but still affect our lives. THE INITIATION - Donald Schnell - A JOURNEY TO A SPIRITUALITY THOUSANDS OF YEARS OLD Newly updated and revised, The Initiation , reads like a novel, a story of spiritual mystery, suspense, romance, and illumination. "I had no idea what lay before me in the month prior to my initiation," Schnell writes. "But I knew somehow God would create whatever situation was required to make me ready." Jean Houston said of the book, "This is a metaphysical adventure story of the highest order. Indeed, the reader feels something of the mystery and spiritual power that the author experienced, and is subtly changed in the process." The Initiation is a book for anyone interested in spirituality and the search for truth. Convergence Magazine compares the book to the Autobiography of a Yogi and says in a review, "Every once in a while a book comes along that feels like an explosion of light and sound. The Initiation is one of those books." THE INNER LIFE OF KRISHNAMURTI, - Private Passion and Perenial Wisdom - Aryel Sanat - Jiddu Krishnamurti is unquestionably one of the most influential spiritual teachers of the twentieth century. Though he steadfastly denied identification with any particular philosophy or religion, his words and ideas have influenced the spiritual evolution of many people and of the century itself. Aryel Sanat's meticulously researched and cogently argued exploration of Krishnamurti's inner life and experiences explodes a number of popular myths about Krishnamurti, particularly that he denied the existence of the Theosophical Masters and disdained the esoteric side of the spiritual path. Rather, Sanat persuasively demonstrates, Krishnamurti had a rich and intense esoteric life. Moreover, the truths of the Ancient Wisdom, as revealed through the Masters, were a reality to Krishnamurti every day of his life, from his boyhood until his death. The real story of Krishnamurti's inner life is shown to have critical implications for our understanding of Krishnamurti's life and ideas and for our views of Theosophy, Buddhism, the teachings of Gurdjieff ---- indeed, the entirety of contemporary spiritual thought. THE KINGDOM OF THE GODS - Geoffrey Hodson - A clairvoyant views the glorious angelic kingdom. With 29 color illustrations. MAN VISIBLE AND INVISIBLE - C. W. Leadbeater - This esoteric classic examines the invisible bodies of humans, showing how the colors of the aura change with different emotional states. Points out the hidden differences between humans and animals. MOTHER TERESA'S REACHING OUT IN LOVE - Mother Teresa - MOTHER TERESA WROTE nothing for publication, yet in the course of four decades she spoke on countless occasions in more than one hundred countries. She spoke extemporaneously and from the heart. Because she knew exactly what she wanted to say, her words were always to the point and her stories never lengthy. THE PERSONAL AURA - Dora Kunz - A fascinating, clairvoyant look at the emotional energy field which surrounds each person. 19 color plates show changes in the field as people age or during illness. A fresh view of the subtle aspects of the human constitution, which are hidden from most of us. THE POWER OF PLACE : SACRED GROUND IN NATURAL AND HUMAN ENVIRONMENTS - James Swan - Provocative essays on the effects and creation of sacred spaces written by architects, feng shui experts, environmentalists and others. Includes essays by Edwin Bernbaum Richard Leviton, Stanley Krippner. Illustrated. Dora van Gelder Kunz was born in 1904 with clairvoyant faculties, further trained during her association with C. W. Leadbeater. She has been associated for many years with new techniques in healing, including developing Therapeutic Touch with Dr. Dolores Krieger. Former president of The Theosophical Society in America, she is author of The Chakras and the Human Energy Fields (with Dr. Shafica Karagulla), The Personal Aura, and the anthology Spiritual Healing. THE ROYAL ROAD - Stephan Hoeller - Learn to integrate Tarot and Kabbalah to heighten the experience of meditation. Includes 22 illustrations of the Major Arcana with appropriate meditations designed to lead the reader easily into a meditative state. SECRETS OF ETERNITY - Annalee Skarin - The cause of darkness and how it might be dispelled: the Christ Light, leading to a new day. THE SEVEN BODIES UNVEILED - Flower Arlene Newhouse - The central topic of this book--the seven bodies of man--is one of the most basic of all esoteric teachings, yet only a few books have been published on the subject over the last century (and those mostly by Theosophical Society members). This important introduction, explains the concept of the etheric or astral body and the mental body's function in controlling thoughts. Ultimately this teaching is key to understanding the true essence of human existence. SHAMBHALA - Beyond Tibet, lies a paradise of universal wisdom and ineffable peace known as Shambhala... For thousands of years, stories have been told about an inaccessible garden paradise hidden among the icy peaks and secluded valleys of the Himalayas. Called by some Shangri-La, this mythical kingdom, where the pure at heart live forever among jewel lakes, wish-fulfilling trees, and speaking stones, has fired the imagination of both actual explorers and mystical travelers to the inner realms. In this fascinating look behind the myth, Victoria LePage traces the links between this legendary Utopia and the mythologies of the world. Shambhala, LePage argues persuasively, is "real" and may be becoming more so as humans as species learn increasingly to perceive dimensions of reality that have been concealed for millennia. Victoria LePage began her lifelong interest in Shambhala almost fifty years ago, when she was in her early twenties. Her researches led her to studies of both the Hindu-Buddhist and Sufi traditions and to long visits to Central Java, where the Shambhala tradition is strong. Her articles on the struggles of Indonesia have been published in leading Australian newspapers. She lives in the province of Victoria, in Australia. This is her first published book. SPIRITUAL ENLIGHTENMENT - Jed McKenna - Jed McKenna is a one-man spiritual revolution. His first book, SPIRITUAL ENLIGHTENMENT: THE DAMNEDEST THING, became an instant classic and established him as a spiritual teacher of startling depth and clarity. A must-read for the serious seeker. SPIRITUALLY INCORRECT ENLIGHTENMENT - Jed McKenna - Jed McKenna is a one-man spiritual revolution. His second book, SPIRITUALLY INCORRECT ENLIGHTENMENT, takes readers on a fascinating tour of the enlightened state as it's never been seen before. A must-read for the serious seeker. SPIRITUAL PARENTING: A SOURCEBOOK FOR PARENTS AND TEACHERS - Steven Rosman - A valuable sourcebook for spiritual exercises and activities to assist children's inner development. Rosman offers practical suggestions about using music, storytelling, breathing exercises, purification rituals, yoga, and meditation. Stephan Hoeller, author of Jung and the Lost Gospels. Every ordinary act of kindness - like shaking down seed from a frozen bird feeder - is an expression of the intuitive goodness which lies at the heart of every human being. Zen Buddhists call this inborn compassion the "Heartmind". This touching and uplifting collection of tales and personal essays helps readers uncover the simple wisdom of charity, benevolence, and sympathy within everyday acts. Each story goes straight to the heart, reminding us of what we aspire to be and assuring us that it is within our reach to get there. Lin Jensen received lay ordination in the Soto school of Zen Buddhism in 1994. After retiring from a thirty-year college teaching career, he began to write essays reflecting his growing spiritual understanding. His stories have been published in Birding, Bird-Watcher's Digest, Turning Wheel, and other journals.